The majority of Par 4’s and Par 5’s will require a driver to tee off. The ability to hit a long drive by using a high-quality driver will significantly improve your golfing game. The driver has seen many forms from square heads to large club heads. The best driver for long drives is the Callaway XR 16 Driver and this exact driver was used for the longest drive world record. Joe Miller hit a staggering 423 yards using this driver to claim the record. There are many drivers that fit the criteria of a “great all rounder” but if your main goal is to hit long drives, you need to upgrade. When playing a round of golf, the driver is probably the one club you will use the majority of the time, therefore it pays off own the best driver for distance. The best golf brands for long hitting drivers are usually Taylormade, Callaway, Ping and many others. You can buy drivers second hand, but you do not know the history of it. For all you know, it may have been used thousands of times at a driving range. The main objective is to find the best driver for distance and not one that you are afraid to use. When a drive goes wrong, your ball usually ends up in the trees. Below is the best golf drivers for longer drives. The Callaway XR 16 Driver is not only the best driver for a long distance drive but it is also a record breaker. As mentioned above, Joe Miller used this exact driver to reach an amazing 423-yard drive. To put this into perspective, you could probably reach the green on some Par 5’s with that sort of distance. Of course, it’s not always about the ability to hit far, the driver needs to be forgiving. The Callaway XR 16 achieves this quality by a large shaped club head with a lower and deeper center of gravity. It does not have any weights or setting you need to adjust to achieve forgiveness like other drivers mentioned in this article. The speed of your swing when driving can reach three figures and it’s important the driver is aerodynamic. This Callaway driver has been aerodynamically designed and tested so it is lighter and has less drag compared to alternative drivers. The additional speed and clubhead size results in a long distance drive time and time again. The XR16 driver series by Callaway has been through various different designs but this is the best one yet. Callaway used the RMOTO Face Technology to make it 19% thinner and lighten the body, which provides additional speed. Overall, the Callaway XR 16 is the best driver for long distance and forgiveness and can come in various forms such as shaft material, loft, hand orientation and more. If you are willing to spend more money, the Callaway Big Bertha Epic will further increase the distance of your drive. 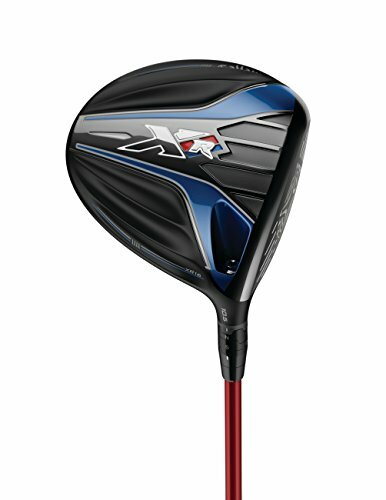 It is the best driver within this article due to the value of money you get with it. Many drivers are 1/3 more in price, which makes this driver for affordable to the average golfer. The reason the other drivers are more is due to the adjustments using the weights within the club head. TaylorMade is at the forefront of customization of golf clubs and the M1 Driver is as technologically advanced as they come. 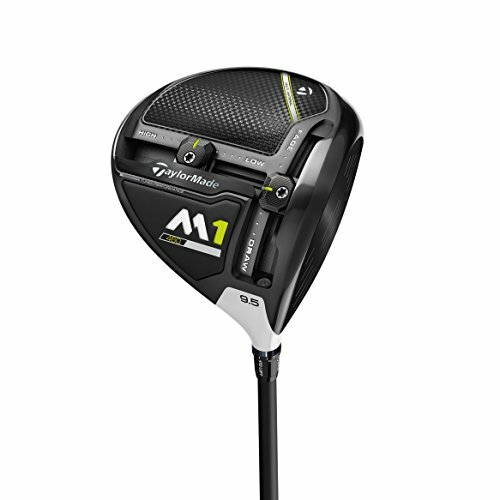 The M1 Driver by TaylorMade has the ability to customize the club solely to your style of play by the front to back, and side to side weight adjustability. TaylorMade driver can be used by beginners to professionals to its full advantage. It’s a known fact that this is the exact driver used from many long-distance drivers such as Dustin Johnson and Tiger Woods. If the driver is good enough for the professional golfers, it is good enough for anyone. Another huge selling point that our team agree with is that its the most attractive driver. The mix of the white and carbon fiber may need cleaning here and there but it looks fantastic. In total, there are 27 grams of weight you can adjust thanks to the T Track System by Taylor Made. You will not find this sort of technology in other drivers. That said, you will have to pay more for this driver than others. In terms of a long distance drive, if you have tried multiple drivers with no luck, this may be an escape route. 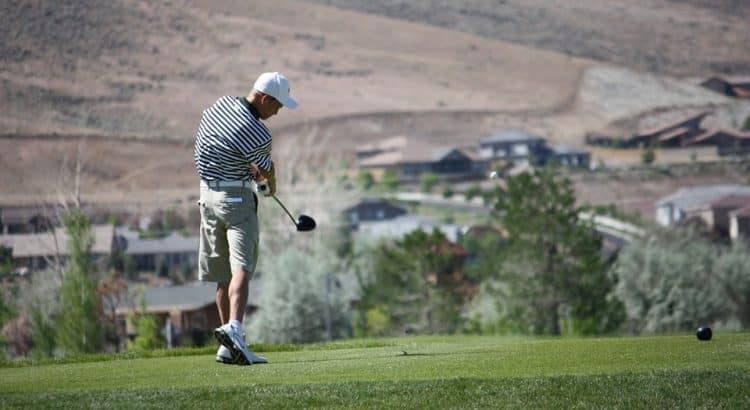 Adjusting the driver to your requirements will certainly add a few yards to your drive. Overall, the TaylorMade best game improvement driver that will impress any golfer. Cobra is another brand that is very popular but benefit from being much cheaper compared to Taylor Made, Callaway, Ping, Tilets and so on. Just because its cheaper, it does not mean they are losing quality or the latest technology. The Cobra King F7 Driver even offers a smartphone application to track your drives. The addition of a carbon fiber crown has made the KING F7 Driver 20% lighter than previous models. This means more weight is distributed lower and deeper to the club head that results in forgiveness for those slight mishits. Like the Taylor Made alternative, you can adjust the front, rear and heel position. This provides you with the ability to tweak the club to match your swing. There is also the option to adjust the loft setting to fine tune the launch from the impact of contact with the ball. The ability to connect your smartphone to your driver is unheard of. The Cobra Connect is an electronic tracking device that tracks your distance and provides statistical data in terms of consistency of your swing. The electronic device is located inside the grip and is unnoticeable from just looking at the club. Overall, for increasing the distance from your drive, the statistics from the smartphone application will provide interesting data. Taking the data on board, you can then adjust the settings to further tweak the impact with the ball. Taking your time at the driving range with this driver can make this the best driver for increasing distance. Another driver from Callaway is the popular Big Bertha Driver that is a well-known driver that has been around for many years. 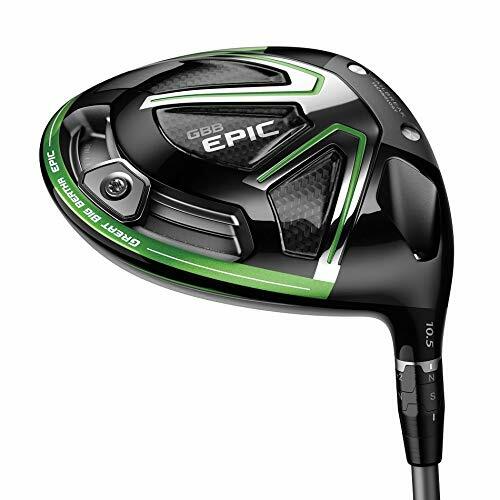 The latest Big Bertha named “Epic” uses “Jailbreak Technology” that modifies the head and face of the club for increased ball speed. It is one of the lightest drivers developed by Callaway and focuses on a faster head speed. On the club head, you have the ability to shift 17 grams of weight for more control and distance. The Big Bertha is not as forgiving as other drivers but there is slight forgiveness for major mishits. You should be able to notice a definitive increase in distance from using this Callaway Big Bertha. From professionals to beginners, it offers all the specification for a long distance and accurate drive. 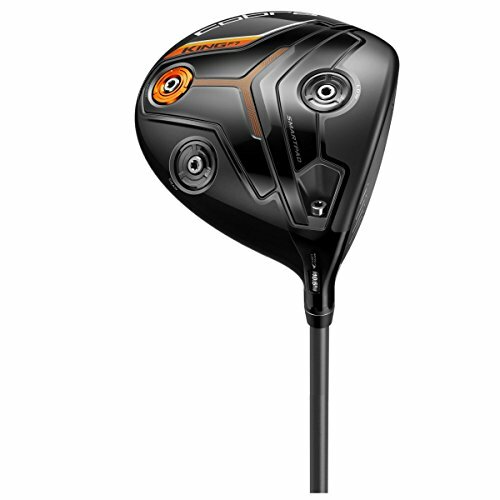 Overall, it is the best driver for long drives with the only drawback being the expensive cost compared to the XR 16 model also made by Callaway. 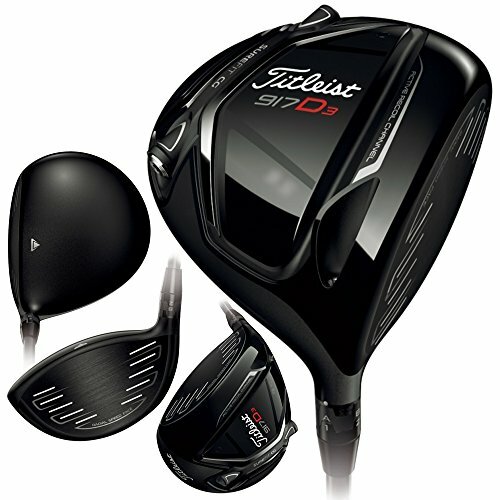 Titleist is another major golfing brand and their latest driver named the 917 D3 has some impressive features. The main being the adjustable weights that others have but not in the same fashion. The Titleist D3 uses weights that slide into the SureFit CG weight chamber, where the weights vary between 8 and 16 grams. The Titleist 917 D3 has two forms that are known as Top Heavy and Neutral. The latter is designed for forgiveness where the weight is deep and low. The Top Heavy state puts more weight towards the heel and toe for direction. Over 5 years has gone into research and development of the 917 D3 and it certainly shows. This driver may require messing around to find the perfect setting for your game but it will pay off. You will almost certainly find additional distance as well as consistency from regular use of the Titleist 917 D3 Driver. The length of your drive will almost certainly increase your performance on the course but it is also good for bragging rights. The 5 drivers mentioned above will almost certainly increase the distance of your drive but before purchasing, remember to factor the following. The ability to change the loft angle for the driver is a great feature. If this is not an option, you will want to get some statistics regarding your swing speed. If you are in the upper band where your swing speed is 90 to 100 MPH, you will want a low loft angle of below 11%. The average swing speed is around 80 to 85% and the best loft angle for your driver would be 12 to 13 degrees. Adding weight to the club head will increase the distance of the ball but you will get better results by increasing ball and club speed. There are many people using all sorts of methods to add weight to their drivers but I would advise against this. Only by drivers that are designed with a heavier club head than performing surgery on your own golf club. The length of the driver is often glossed over and forgotten about. However, the length of the driver will play an important role with the club head speed, ball speed, angle of ball contact and other factors. The standard length of drivers for men is usually between 45.5 and 46.5 inches, whereas for women they are an inch shorter. *All drivers in this article are the correct lengths with options to choose different lengths for juniors or women. It’s a known fact that professionals use smaller lengths to increase the chances of making solid contact with the ball. A longer shaft will indeed increase your distance as it will pick up more velocity but this can increase the chance of mis-hitting the ball. Be sure not to buy a driver too long for your athletic build and swing style. From simply owning the best driver, you can’t expect to hit 300 yard+ drives just starting out. We advise that you have a few training sessions to improve your swing to see the full effects of the drivers mentioned above. Small things such as golf tees for driving can also play a part, with golf drivers having larger clubheads than a decade ago. I now realize why my Taylormade M1 is so long , didn’t realize it when I picked it up for a buck 50 . Guess I’m not going to upgrade . Great info and now I’ll have a few more bucks in the wallet , a new putter sounds good.